Preparing concrete for new floor coverings such as V.C.T., roll goods, ceramic tile, carpeting and many other floor coverings requiring a smooth substrate. (Can reduce or eliminate patching). 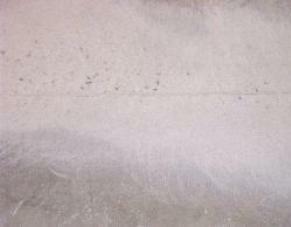 Removing or reducing concrete curls, high spots, surface roughness, and irregularities in concrete. 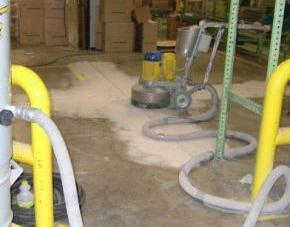 Removing most adhesives, sealers, floor coatings, thin set mortars and even epoxy overlays. 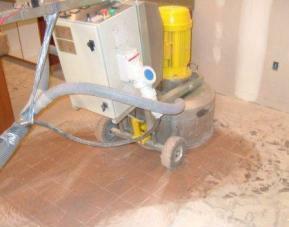 On well bonded ceramic and quarry tile to deglaze and remove high areas such as tiles sticking up or bumpy areas. 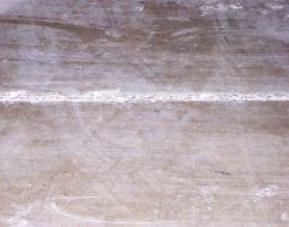 Enhancing floor flatness and smoothness in most cases. 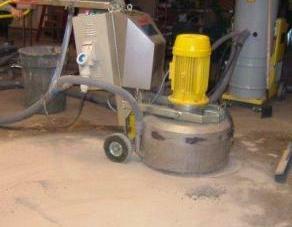 Dust free concrete grinding is not as simple as most people would think. It requires specific equipment and properly trained personnel. Even for experienced operators there is always some trial and error to getting the surface to grind properly; experience is a key element for success. 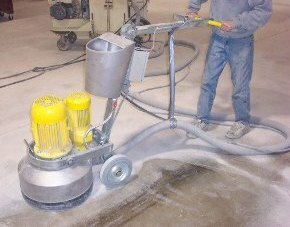 Concrete surfaces vary in hardness, color, finish and condition; these factors will determine the types of tooling and equipment used to perform the task. The right machinery for the job is important, that is why certain setups are used in specific situations. Some machines perform certain tasks better than others. Design and proper setup of equipment make it easy to operate, safe and highly productive. The design takes the power and weight of the grinder and puts it to work on the floor surface. This works well because the torque from the large rotating head is countered by 3 heads turning in opposite directions, thus putting the entire muscle on the floor’s surface not the operator. Combined with a multitude of diamond tooling, it is a winning combination. Diamond grinding is very versatile and covers a wide spectrum of finishes from coarse grinding to highly polished floors and every where in between. Dust-free operation is accomplished with HEPA dust collection systems. This provides removal of 99.9 % of airborne dust. Also see shot blasting for surface preparation.